Thrice Read Books is pleased to be part of a cover reveal for a new science fiction romance novel due out March 20, 2018. I’m not a huge science fiction reader, but science fiction romance? ﻿Totally one of my guilty pleasures. I am so looking forward to reading and reviewing this book just as soon as Fiery Seas will let me get my mitts on it! Long ago, Julian DiConti was caught in a powerful spell binding him to a Djinn bottle, forced to grant wishes to each owner of his bottle. Three wishes… of the right kind… could free Julian of his bonds, but after six hundred years, he is beginning to wonder if he will be trapped as a Djinn forever. Enter Alessandra Taylor, good Samaritan extraordinaire. She’d gladly free Julian from the spell if she could, but he isn’t allowed to tell her how, and one by one she’s driven to use the precious wishes to help others. But where will that leave Julian and the growing love between them? Truck Stop is her first published novel. It’s being produced as an audiobook with an expected release around early January 2019. Her next romance novel, the first of a four-book paranormal romance series, is planned for release shortly after. 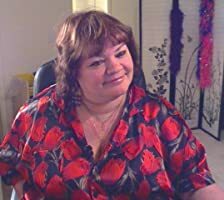 You can sign up for Allie’s monthly newsletter and find out about her other upcoming releases and current projects at her website www.alliemccormack.com. Allie is hosting a Rafflecopter giveaway as part of the launch for this book. You can sign up here for a chance to win a fabulous prize! Mini book trailer for Wishes in a Bottle by Allie McCormack, available now on Amazon. Hey, hey! It’s that moment that this whole post is about! The almighty cover-reveal. We haven’t read the final copy, but Jenn has beta read this book while it was in development. If you’re a paranormal/fantasy romance fan, you’re going to want to get your hands on this book, and get it early! (It’s already available for pre-order, and we’ve got a link down below, so you can get first access). And… without further ado… Isn’t this just a gorgeous cover? Cover art for Wishes in a Bottle, due out January 15, 2019 – Isn’t it gorgeous?